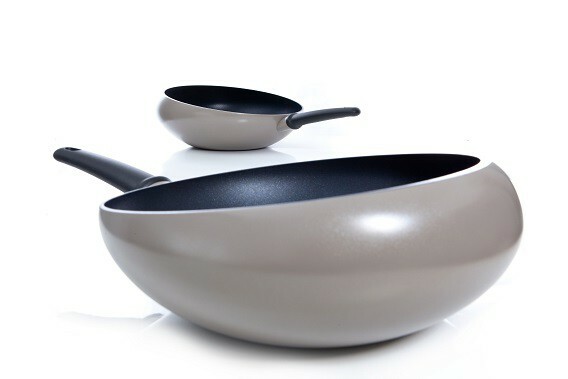 Easily create a rich and healthy meal or stir-fry your fish, meat, or vegetables with the Boomerang Wok. Thanks to the unique, patented design you will no long spill your ingredients on the stove or countertop. With his award-winning wok, you will stir-fry like a Chinese professional cook. 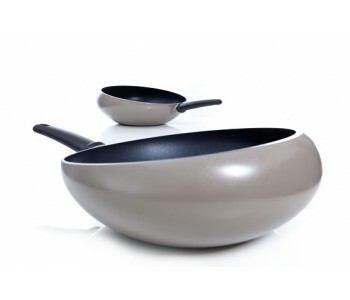 Wok allows you to quickly serve delicious, varied, and healthy meals. Not everyone is a professional Chinese chef. Unfortunately, ingredients often fall on the countertop or stove when stir-frying. 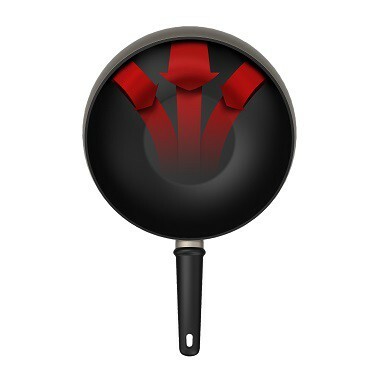 With the Boomerang Wok, everyone can become a wok chef! 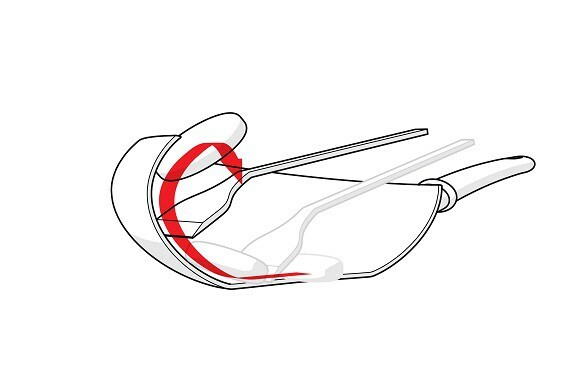 The Boomerang Wok has a unique, patented, cupped edge. This allows you to easily stir ingredients with a simple movement of the spatula. As a results, ingredients will always remain in the pan. The Boomerang Wok does not only make stir-frying a lot easier; but also the baking of large pieces of fish or fish fillets and meat thanks to the patented cupped edge of the Boomerang Wok. And you won’t even have to lift the pan. 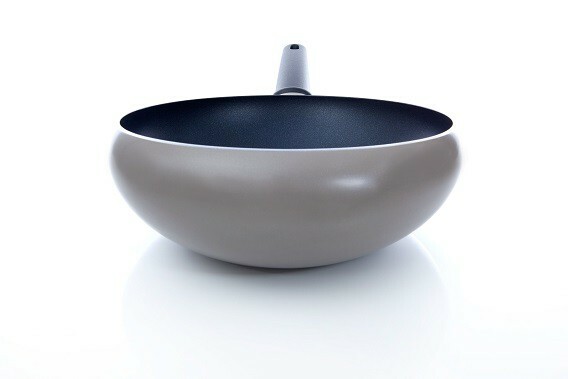 Designer Nikolai Carels has already won many awards with the Boomerang Wok. Its design has been praised by several designer platforms such as Design Plus, Red Dot Design Award, Good Industrial Design Award, and Grand Prix.